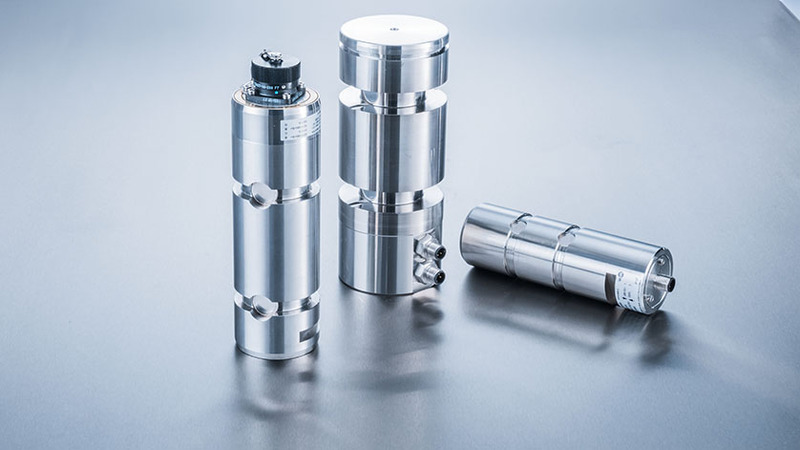 A load pin provides the connection between force-transmitting machine elements and also allows the simultaneous measurement of the force acting on the sensor. The load pins are fixed in the axial direction as well as against rotation. A small gap of about one fifth of a millimeter between the axle retainer and the slot ensures that a free bending in the thrust bearing is made possible. Load pins with welded thin-film sensors can measure both static and dynamic forces. As a result, a wide variety of applications are possible. Furthermore, they can be effortlessly integrated into existing systems. For this purpose, the non-measuring, conventional retaining pins are simply exchanged for the load pins. The need for a complex new design is eliminated. Even harsh environmental conditions are no problem for the load pins, they are suitable for tough requirements and also easy to install and maintenance-free. For example, load pins are widely used in crane systems and lifting gear, in guide pulleys and roller bearings, in industrial weighing technology or in production automation. The load pins of the F53 series have been tested by the classification society DNV GL. They meet DNVGL-ST-0377 (“Standard for shipboard lifting appliances”) and DNVGL-ST-0378 (“Standard for offshore and platform lifting appliances”) and can be used for lifting applications in the marine and offshore industries. Another special feature are the approvals of our load pins in hazardous areas and for use in stage and event technology. The load pins always feature long-term stability and high shock and vibration resistance. Learn more about our load pins on the WIKA website. People like to learn. A certain curiosity is inborn within everyone. Through this blog, we are trying to supplement the particular background knowledge and thus to provide deeper insights and a broader understanding of the applications. My focus in this is on force measurement. In particular, I take care of force transducers featuring innovative thin-film technology.